Genova designs and develops enterprise software applications for commercial, education, government, and health customers, utilizing both Java and .NET stacks. 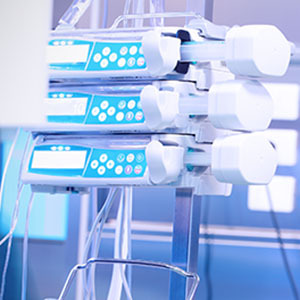 Custom medical device software designed by embedded, application, mobile, and cloud experts. HIPAA compliant. IEC 62304 compliant, maximizing chances of a successful FDA and EU approval process, by doing things right the first time. Genova delivers Section 508-compliant desktop and mobile applications using industry leading design and development tools, methodologies, and processes. • Object Oriented Jscript/Python/PHP scripting, Java JDK 7 API, Java Swing GUI development, Objective C development, Intel C++ Composer XE/Visual Studio 2010, XML, XHTML, AJAX, CSS3, VB, Microsoft .Net Framework 4.5, VHDL/Verilog, MS Access scripting. • Waterfall and Agile Software Development Life Cycle, Distributed computing for parallel computing systems. • Database management with Model View Controller, mySQL-WorkBench, Python, Django DB with SQLite, MS SQL. 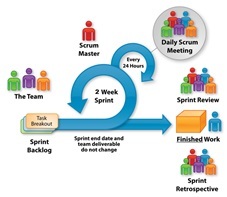 • Enterprise Architects and Agile Scrum Teams; providing ScrumMasters or Product Owners. • Programming C, C++, Verilog and VHDL, Digital/Analog signal conditioning & filtering, ADC/DAC converter algorithm design. • Embedded design of control logic with VHDL, CMOS/FET/BJT analog circuits, Finite Input Response filter design with VHDL. GENOVA supports your engineers and systems - Genova Technologies provides contract software development and verification and validation testing services for avionics and medical regulated devices. Genova specializes in advanced software technologies for the entire device software stack and life cycle, engineering your systems for accuracy, robustness, security, and safety. Genova Technologies' embedded software engineers design software to work specifically with your selected electronics, while providing real-time operating system interfaces, drivers, and controls for your IO-centric subsystems. Using Agile Scrum or traditional Waterfall requirements development and processes, your team will get complete visibility and control of every low-level element of your system. Whether embedded Linux or Windows, we engineer a modern responsive user interfaces and front end architecture, secure communications, and a robust data set. Our solutions include test capabilities built in from the start. If your mobile app connects to a device or is the device, we make the user experience seamless while safe and secure. Our secure interconnectivity systems, utilizing Zigbee, BlueTooth, or Wifi, save you development dollars. Genova expertise is “Mobile for Devices”. We are not “gamers;” our mobile experience is rooted in hardware systems integration and practical application support. Whether for research and analysis, data collection, or remote diagnostics, we will securely connect your systems to a remote server so you can provide complete services to your clients and clinicians.